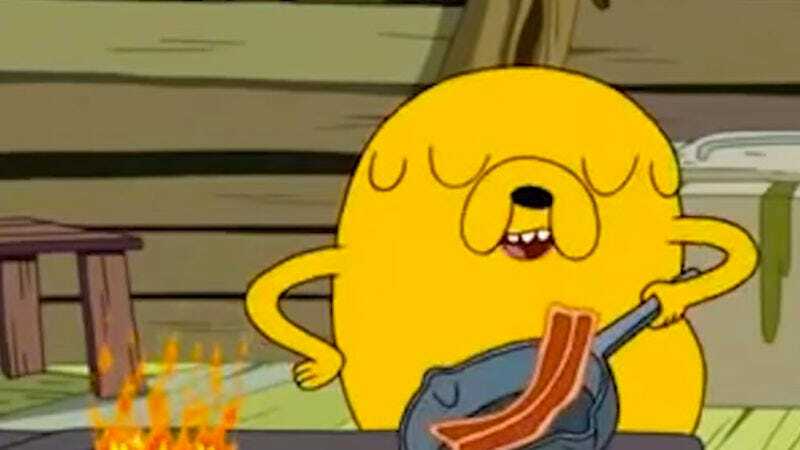 Many people have jammed out to the “Bacon Pancakes” song that Jake performs in Adventure Time. Some have even done so with the remix that smashed it up with “Empire State Of Mind” by Jay Z featuring Alicia Keys. But the glaring ingredient missing from both those previous versions is instructions on how to actually make bacon pancakes. One man has remedied that oversight. Jonathan Mann, who releases a song a day, just released his remix of “Bacon Pancakes,” which includes directions on how to make bacon pancakes. It’s a catchy remix that’s also educational, two great tastes that go together like…well, bacon and pancakes. The track is also available to download from Bandcamp for those interested or who want to play it while they are whipping up breakfast goodness in their kitchens.